Exploring and working with them in a master level and infusion them into personal healing or sessions. Process of making grids to energize and clear space within your home, job or blessing rooms. Working with master crystals to use for channeling and journey work. 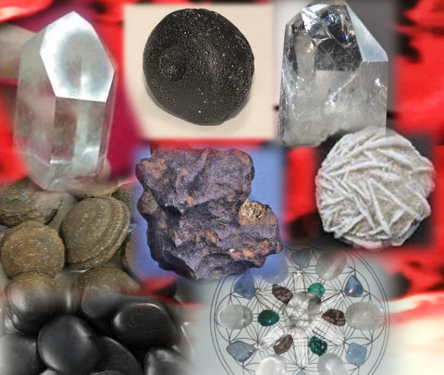 As we work we will add stones into our shamanic tool kit, such as shaman stones (moqui stones), tektites, dessert rose, meteorite, river stones, special techniques to move energy and empower yourself as well as your clients. Each month we will incorporate the stones for healing or protection purposes, accompanied with meditation, journey and hands one work. June 24th* Stone Class * The Shaman's Stone "Moqui"